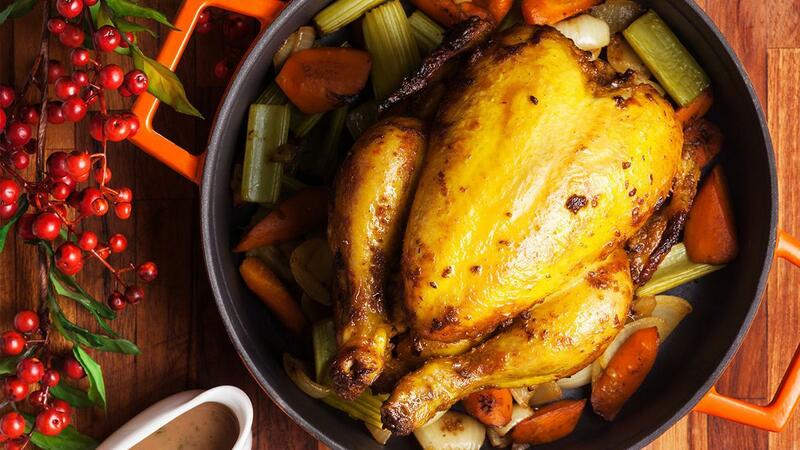 Christmas going global allows it to pick up tastes from anywhere, such as this farm-fed chicken with an Indonesian paste including galangal, turmeric, ginger and lemongrass. > 24 hrs Marinate chicken with Royco Bumbu Dasar Ayam Kuning overnight. Add marinated chicken into baking tray and roast 50mins to 1hr at 180degC.